A file photo of 2.0 poster. 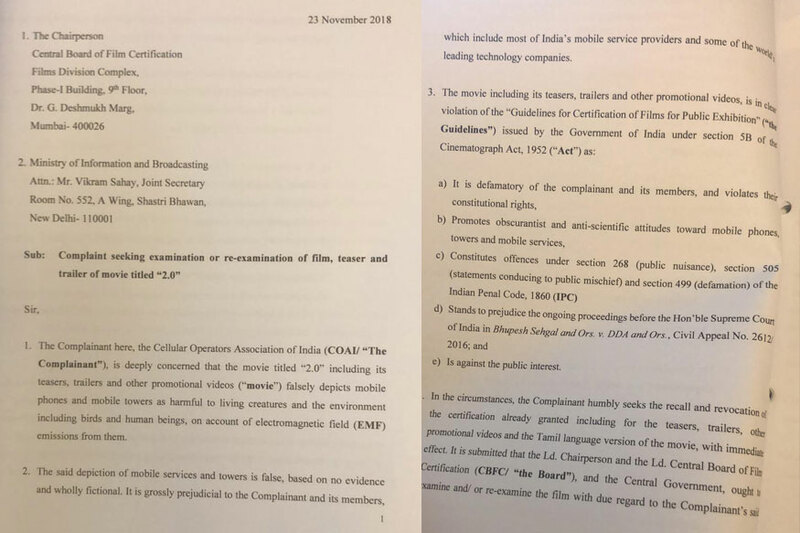 The Cellular Operators Association of India, COAI, has filed a complaint against Rajinikanth and Akshay Kumar starrer 2.0, a sequel to 2010 film Enthiran. Both the films are directed by S Shankar. The complainant wants the Censor Board to revoke the certificate given to the film. In an earlier interview with IANS, Akshay talked about Shankar. He said, “We used to speak in Marathi on the sets and we used to enjoy that. Shankar is a brilliant director to work with and he is a very humble man. It was so interesting to see how he would add a quirk of entertainment in any or every dialogue of our daily conversation." The film that reportedly made at a budget of Rs 543 crore is considered the most expensive film of India made in 3D. 2.0 will hit the screens on November 29, 2018.